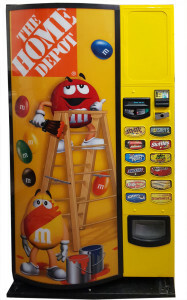 This Vendo Mars Milennium Refrigerated Candy Vending Machine is a bright colored, snack vendor with the M&M decals on the front as exactly shown in the photos. It will vend all types of regular size candy bars such as Hershey's chocolate, Snickers, Milk Way, etc; and bags of candy such as M&Ms, Skittles, nuts, etc. 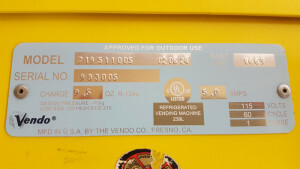 The machine is also equipped with the guaranteed vend laser which ensures a vend every time. The great part of this machine is that it is refrigerated so it can be placed outdoors in the hot sun. Being outdoor rated, it can take some serious abuse from rain and kids alike. It will vend 12 different selections and it will hold over 700 total items. The coin unit on this vending machine will accept and dispense dimes and quarters. The dollar bill validator will accept $1 & $5 bills. These snack vending machines were manufactured by one of the best vending companies in the industry. 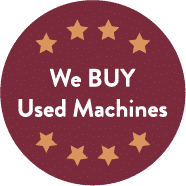 Since they are so well known, all major vending repair companies understand these machines and parts are readily available. 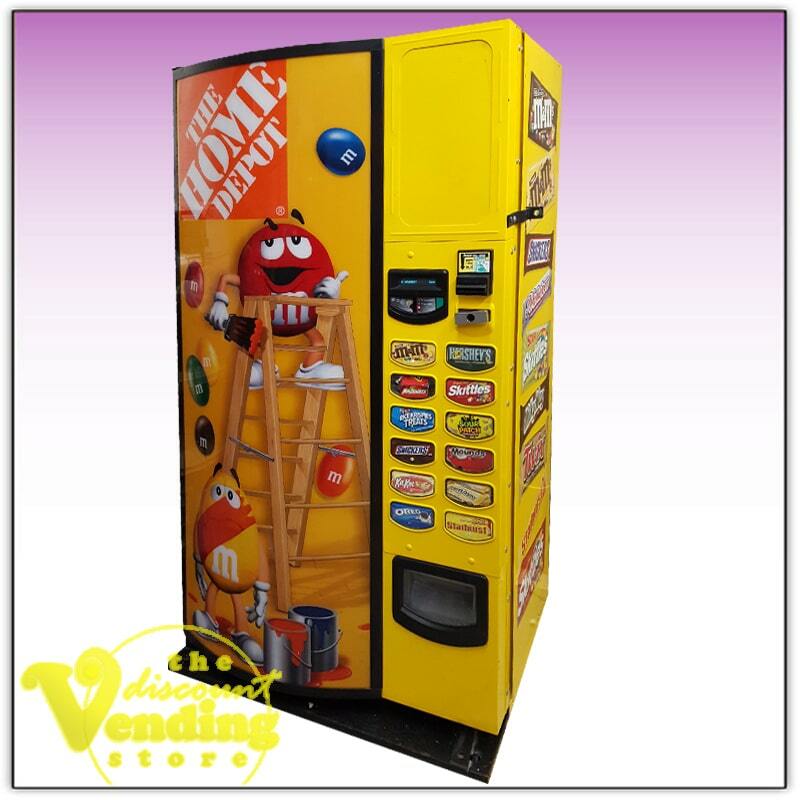 The Vendo name is very popular and well respected in the vending industry. Parts for these machines should be available from your local vending distributors and we also carry many of the parts, which we can sell to you if needed. Included with this purchase is the owner's manual and two sets of keys.